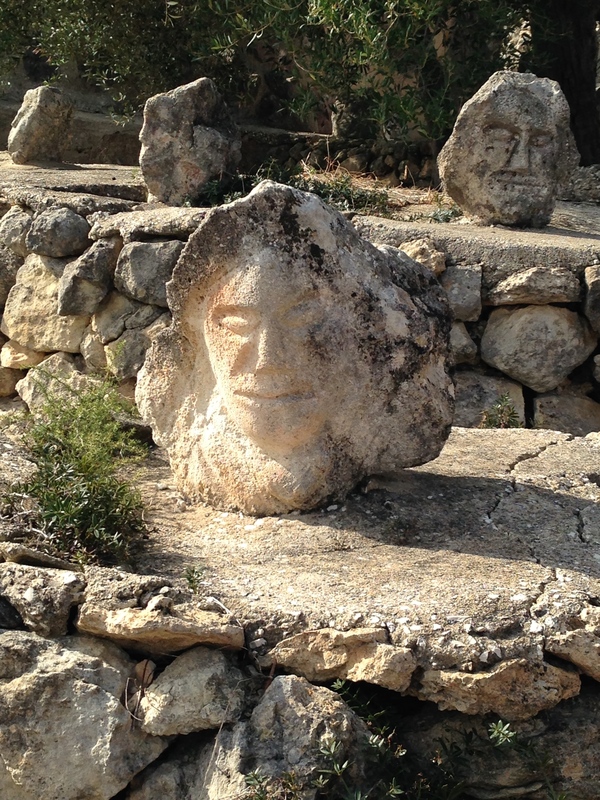 Three kilometers from the town of Sciacca lies Il Castello Incantato, The Enchanted Castle. This property is now a testimonial to years of work carried out by one of Sciacca’s most intriguing residents, Filippo Bentivegna. 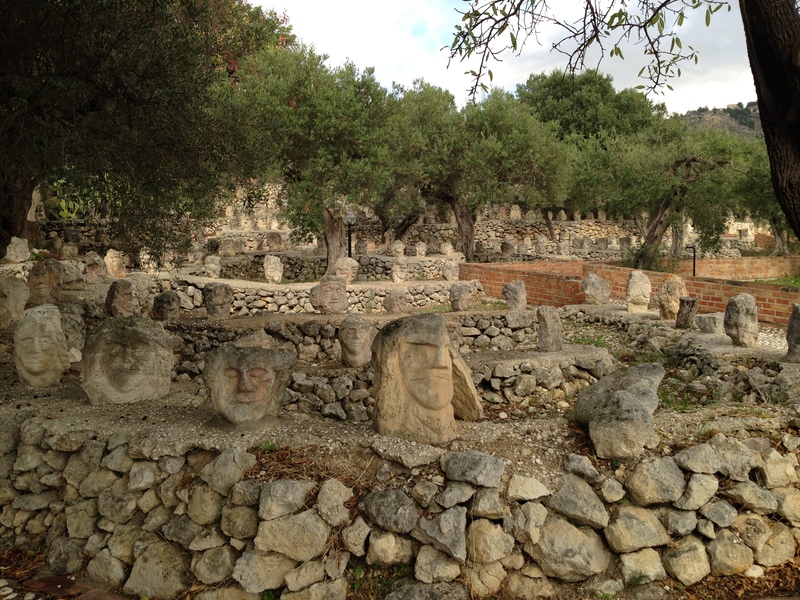 Bentivegna spent years sculpting faces into stones. 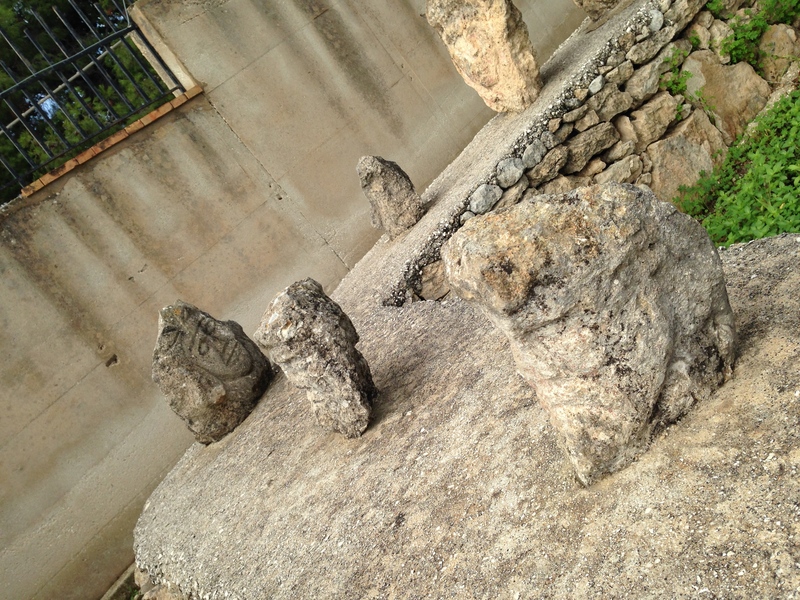 Unfortunately, the majority were stolen, but what remains today is on display along a path winding up the property grounds. 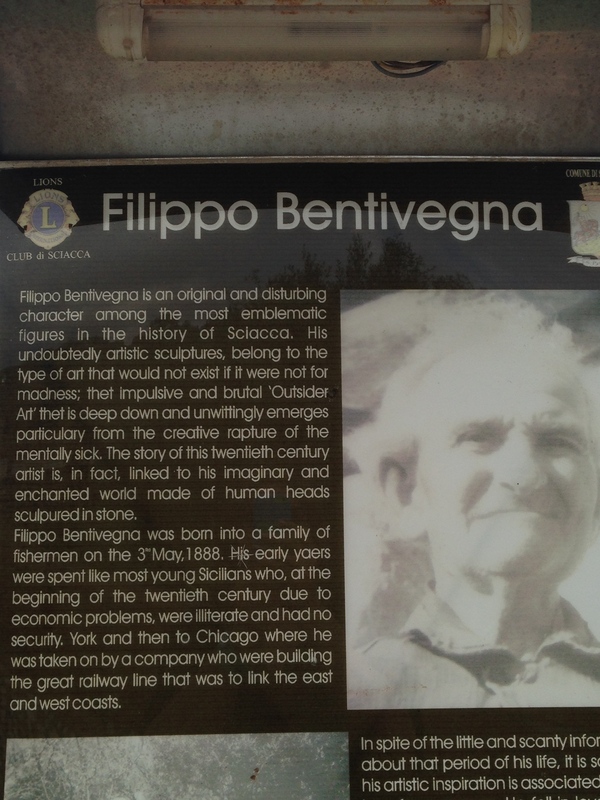 Filippo Bentivegna was a local resident of Sciacca who emigrated to the USA. He had emigrated to the USA as many other young people from Sicily in search of a better life. Among other work he carried out in the USA was his contribution, while living in Chicago, to the construction of the railroad heading West. Sadly, his experiences in the USA were quite negative, as he was heart-broken, beaten up badly and when he returned to his native Sicily his mind was no longer as it had been before. After his return, he purchased a plot of land and started his patient work. 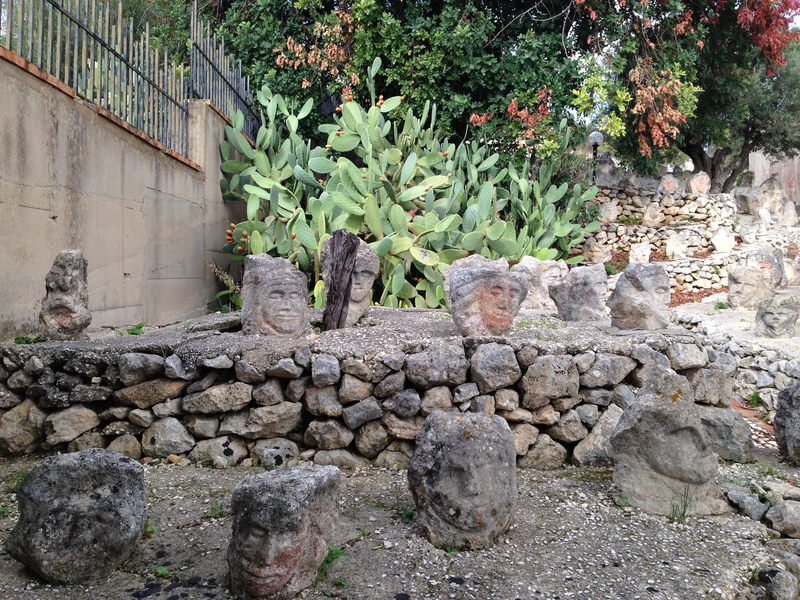 During the day, he would sculpt faces on stones, at night he would return home and take care of his aging mother. 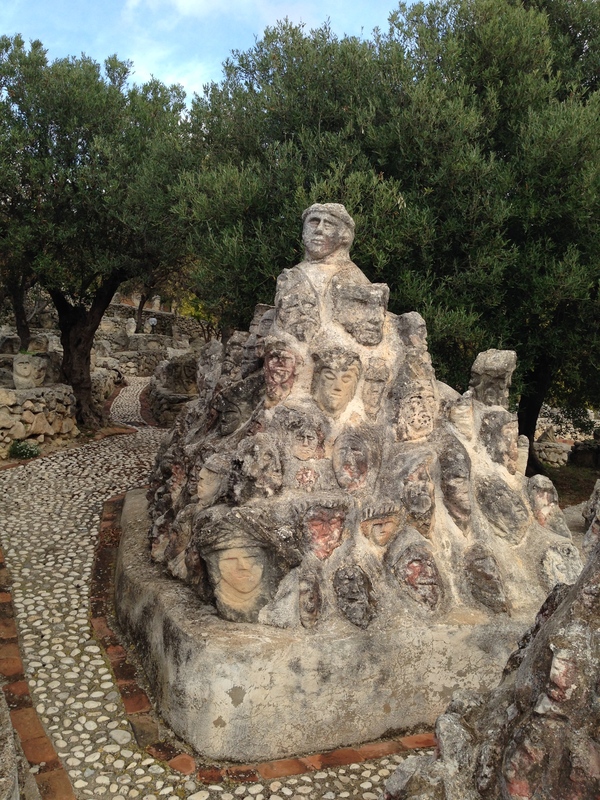 There are about three thousand stones with sculpted faces on display in the Castello Incantato and I was told that before these were saved thousands more had been stolen. It may be worth researching more information on this interesting character………….. Ciao!!!! Ti ho appena risposto via email! A presto!!!!! So good to hear about you and your interesting, genuine and wonderful travels! Such good places! I am so proud of you and my lovely Sicily! And your way of writing.. I love it! I can never forget the moments passed together in Sicily! When are you coming to USA? I will be back in Sicily in mid January. I want to know so much about you! I’ll send you an email..sorry to write so much in the blog. Big big Hugsss!! Ti voglio tanto, tanto, tantissimo bene! !